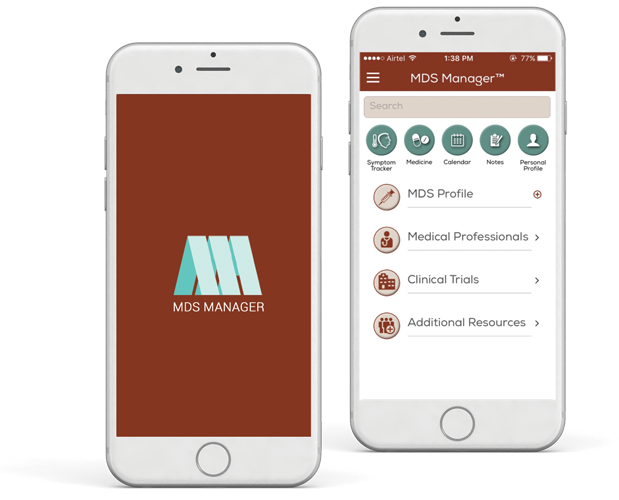 MDS ManagerTM is a newly developed mHealth application designed for smartphones and tablets that includes a variety of features to assist the patient and caregiver LIVING with MDS to more effectively manage their care, improve communication with and among providers, and track their response to treatment. It represents a digital adaptation of book 5 of the Building Blocks of Hope® , My MDS Plan, which includes tools and strategies for staying well. Already have the app, and looking to view your stored data? Click the “My Data” box above to login. Already an MDS Manager User? Please click on the following button to provide your feedback. Note: This survey will take about 10 minutes to complete.